Matching almost any interior the wooden venetian blinds range are one of our most popular ranges, perhaps because they are so easy to maintain and yet look so stylish! 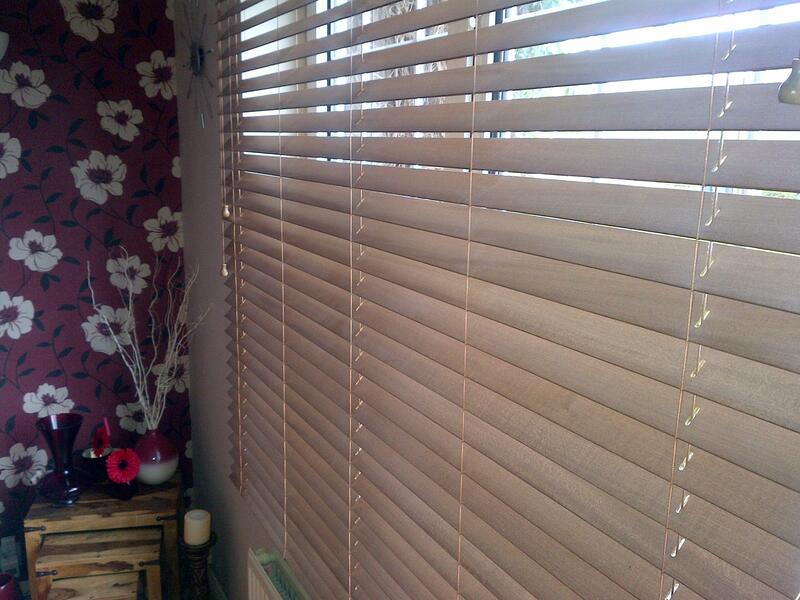 Martin’s blinds and awnings are pleased to offer a distinctive selection of custom made wooden venetian blinds. Made to your exact measurements, and of course with the service levels you have come to expect from us, with a complimentary sample visit, we will measure and fit your wooden venetian blinds for free too! Wooden Venetian Blinds – All you need to do is decide which of our stunning range you will choose, will it be the ‘natural bamboo’ or our unique ‘zebrawood’. Will you have a traditional stained finish or perhaps you prefer to select one of our painted natural tones. Our classic, elegant wooden Venetian blinds have to be seen to be appreciated, call us on 01604 452791 or 07738 733319 for a free home consultation visit, Martin will be happy to show you the range and advise on appropriate conditions. Call 01604 452791 to arrange for Martin to visit you at home with our samples, Martin will help with advice and ideas. Of course there is no obligation, we focus on service levels and delivering exactly what our customers want. Have a look through our testimonials to see what our customers think of the service we have provided.